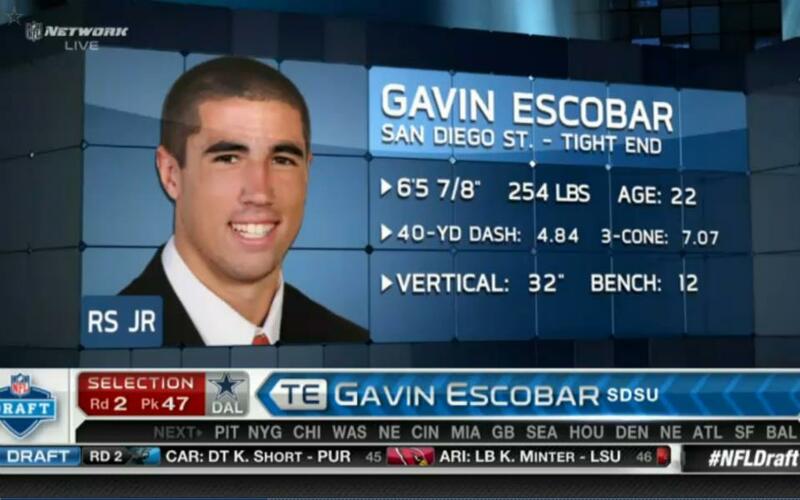 Former San Diego State tight end and ‘Aztec For Life’ Gavin Escobar has just been drafted by the Dallas Cowboys. 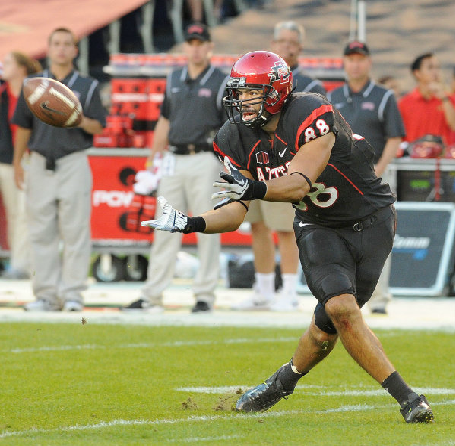 The 6-foot-6, 255-pound tight end was drafted with the 15th pick in the 2nd round of the 2013 NFL Draft. He was the 47th overall pick in the draft.